Basavakalyana fort is located in the Bidar district of Karnataka, India. Bidar is an important district in Karnataka which is located in the north eastern part of state of Karnataka. Bidar shares its boundaries with districts of Maharashtra and Telangana state and Gulbarga of Karnataka on the other side. It is located around 700Kms from Bangalore and 150Kms from Hyderabad. 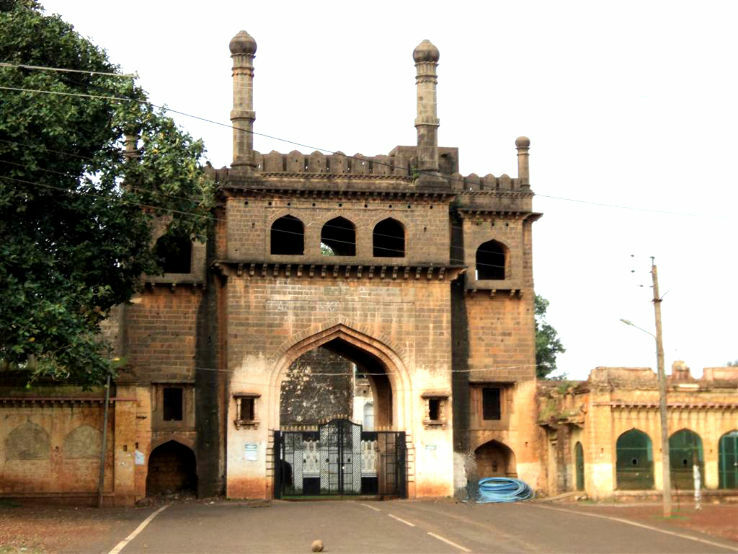 Bidar district has a very interesting history. Many dynasties such as Mauryans, Sathvahans, kadambas, Chalukyas and Rashtrakutas ruled the district. Later for a short period, Bidar was ruled by Chaulkyas of Kalyana and kalachuris of Kalyanis. Bidar became more popular during the Bahamani period. They made Bidar as capital of Bahamani dynasty. Ahmad Shah Bahman laid foundation for Bidar fort. Other than these many other Muslim dynasties ruled Bidar for many years. During the Bahamani rule there was lot of frequent conflict with Vijayanagara Empire. Bidar experiences a semi arid climate with too hot in summers and not too cold in winters. The extreme months in summers are April and May where the temperature touches 42oc. May is considered as hottest month and December as the coldest month. Bidar is known as city of whispering monuments has some of the interesting and beautiful monuments. The city has many sites of archaeological and historical importance. The city being on the mountain top has 98 important monuments of which four are national monuments. The four important monuments that are protected by the archaeological survey are Bahamani tombs, Barid Shahi tombs, Bidar fort and madrasas Mahmud Gawan. Basavakalyana Fort an important tourist’s place in Bidar district. It is also called as Kalyana fort. The fort was built by Chalukyas of Kalyana in 10th century. Basaveshawara who was a social reformer made the fort as a learning of social and religious activities in 12th century. Basavakalyana fort became a centre for learning. Some of the important personalities who are associated with Basavakalyana are Akka Mahadevi, Basaveshwara, Channabasavana and Sidarama. Basavakalyana is also famous for Basavanna who is the founder of Virashaiva community. Chalukyas under the leadership of Tailapa II defeated Rashtrakuta and made Kalyana ( Basavakalyana) as their capital. Nalaraja built the fort in the year 973AD under the leadership of Tailapa II of Chalukyas. 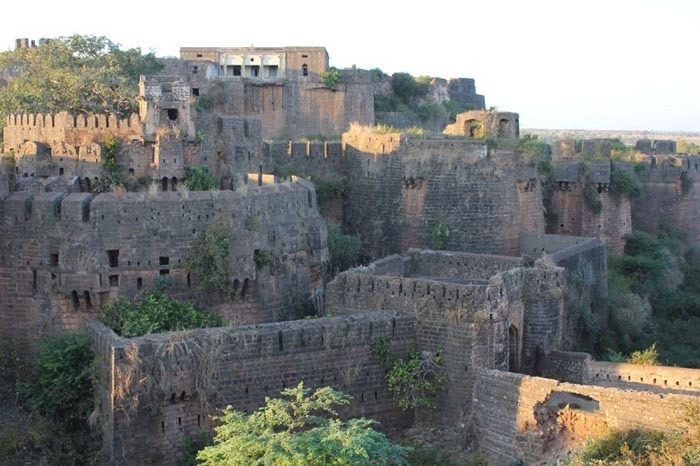 Both the fort and the Kalyana served as capital of Western Chalukyas from 1050AD-1195AD. Some of the important rulers of Western Chalukyas who ruled Kalyana are Someshvara I, Someshvara III, Vikramaditya VI, Jagadekha Malla III and Tailapa III. Between 10th -12th century various dynasties like the Yadavas, Kalachuri, Mughal dynasty and Vijayanagara Empire. Bijjala who was a feudatory chief of Chalukya dynasty over threw Tailapa of chalukyan dynasty and ruled the entire Deccan for a very short period of 5 years. Bijjala Deva belonged to Kalachuri dynasty and ruled from 1163-1167 AD. His rule was very short lived, he was later killed and the Chalukyan’s regained their territory. Even though Bijjala Deva belonged to Jain community, he was attracted towards Virashaivism (new religion founded by Basaveshwara). Basaveshwara was the Prime minister under Bijjala Deva. Basaveshwara spread the religious preaching’s of Virashaivism during this period. Later on in 16th century Rama Raya of Vijayanagara Empire ruled the region of Kalyana. He joined with many Muslim rulers in Deccan and took complete control on Kalyana. Later many rulers took control on Kalyana and ruled for certain period .Adil Shah allied with Rama Raya and overthrew the sultan of Ahmad Nagar who had taken control Basavakalyana fort. Later on Rama Raya was defeated by Muslim rulers of Deccan namely Golconda and Bijapur. Thus the reign of Rama Raya came to an end. The fort which was built in 973 AD by Nalaraja during Kalyana Chalukya period has some interesting architecture. The fort is built in such a way that it cannot be easily located from a distance. It was built as a defence structure with camouflaged settings. This was an advantage to the soldiers to revolt the enemy attacks. The fort has seven gates but only five gates are in good condition. The fort has strong arch at the entrance and has steps on either side of the fort. The courtyard of the fort has strong fort walls. There are cannons which are serially kept all along the path to the bastions. The openings or the secret hole present at the top of the entrance were used for pouring hot oil or water on the enemies. Another important defence measure was constructing of a deep moat (a wide ditch surrounding a castle filled with water) in the fort. The moat surrounded the entire fort. Citadel was also located at the centre of the fort on a very level ground. The main door of the citadel is known as Akhand Darwaza. This was built using four red stone slabs. The fort was built mainly as a security and defence purpose. The other rooms that were built in the fort are guard rooms, barbicans (is a fortified outpost or gateway). As one moves up the steps one can see Raj Mahal palace which is mostly in ruins now. However it still has beautiful ceilings. Next to the palace there is a temple but it does not have any idol of God. Behind the temple there was a palace for the queen. From here there is an exclusive path to the temple. There is also a pond near the temple. Other than these there are several monuments within the fort like a platform used for doing prayers during Muharram, 2 wells on the western and the northeast directions. There are ramps to pull water, a chamber used as gymnasium known as Talim Khana and cannon known as khadak Bijli Topu and many underground secret chambers for any emergency escape. The fort walls are carved with images of Yalis (is mythical creatures which are sculpted on the pillars of the temples, forts). The fort also has images of Jaina (Jainism) on the walls. There are many Jain idols adjoining the fort which belonged to 10th and 11th century. A Jain temple is also found inside the fort which is in ruins now. A good and interesting place to visit and understand the rich history of our country India. Bidar is a very important touristic place in Karnataka. Some of the other important places to visit in Bidar district are Bidar fort, Bahamani tombs, Narasimha Jhira cave temple, Chaubhara and Gurudwara Nanak Gira sahib. Bidar is easily accessible through rail and road from different parts of Karnataka state. It is also accessible through rail and road from all major cities in India. Bidar is around 700Kms from Bangalore. One can reach nearest city like Hyderabad or Bangalore through air and travel from there by cab, bus or rail.